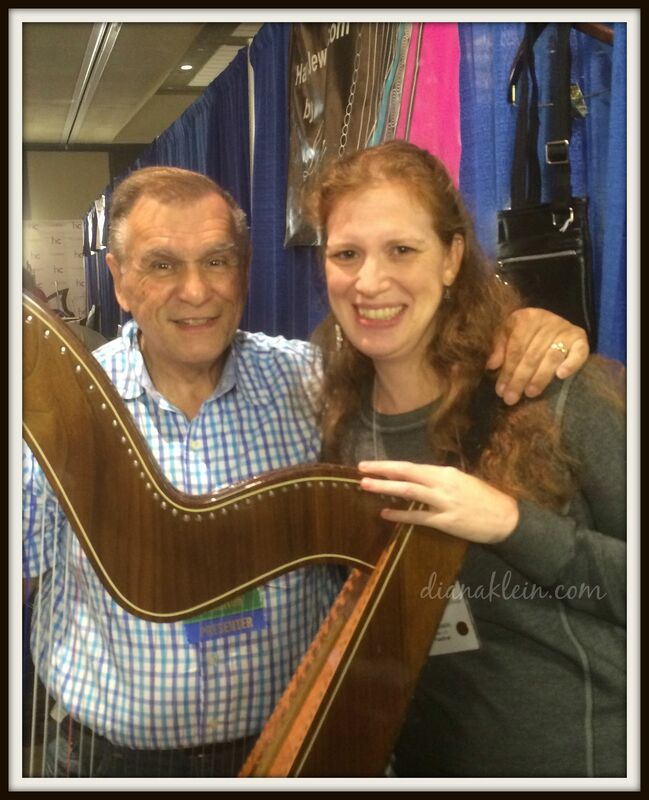 If you’ve been reading this blog lately, you know that I recently returned from the Somerset Folk Harp Festival in Parsippany, NJ. It was a great opportunity to reconnect with some old harp friends and meet some new ones. It was also an opportunity to learn—a lot. And not just about playing the harp. One of my favorite lessons came from the amazingly talented and wonderfully warm, Cuban born, Paraguayan harpist, Alfredo Rolando Ortiz. A friend and I were taking one last stroll through the exhibit hall on Sunday, when we happened on Dr. Ortiz (he also has a medical degree) playing one of his many intricate (not to mention speedy) compositions in his relaxed, effortless style. When he finished, we complimented him, expressing our doubts that we could even approach his level of mastery. He waved this away and proceeded to give us technical instruction on how to play ascending passages with more comfort and ease. “It’s not the traditional way,” he told us. How often do we do that? Put limits on our enjoyment of something based on our expectations? How often do we tell ourselves that the “traditional way”, the accepted way, is the best, and, perhaps, only way? Sometimes you need to follow directions—sometimes that is the best way, but it’s important for me to remember that that’s not always true. Sometimes those directions, that “traditional way” is just getting in your way and preventing you from exhibiting your greatness. Dr. Ortiz, his beautiful harp, and me! If you enjoy this blog, please consider sharing it with a friend or even subscribing. It is free and easy. Just type your email address into the box on the left side of the page, just above the button labeled “Follow”. Thanks and have a great day!